In 2016, 314 IT Hubs were identified across Africa, this was up 150% from 117 hubs just a year earlier. Yet, many tech-based products do not seem to be a response to specifically African markets. The number of, and interest in Africa’s start-ups has grown phenomenally. According to Disrupt Africa’s 2016 Report, 146 tech start-ups raised a total funding of over $129million in 2016; up 17% from amounts raised in 2015. The rise in the number of start ups operating out of African countries is, arguably, a positive sign of wider socio-economic advancement. However, a closer look shows that most start-ups are based in the tech industry, and while this is not necessarily a bad thing, it does suggest that other non-tech based ideas in the Micro, Small, and Medium Enterprises (MSME) sector are being crowded out. In 2016, 314 IT Hubs were identified across Africa, this was up 150% from 117 hubs just a year earlier. For a global future that looks more and more tech-dependent, the proliferation of Africa-based IT start-ups could be a bright thing indeed for the continent’s developmental future. But for countries such as Nigeria, for example, where there are an estimated 37 million businesses operating in the MSME sector alone, and where MSMEs employ up to 84% of the country’s workforce, many non tech-based MSMEs are unable to access the necessary financial support they need from government agencies such as the Bank of Industry and the Central Bank of Nigeria. the market for tech-based solutions in countries like Nigeria is over-estimated. On the other hand, tech-based start-ups have, in recent years, found hard and soft support forthcoming. From generous media exposure, to substantial funding, tech groups such as Andela and Co-creation Hub receive a level of much-needed support, about which non-tech based firms in Nigeria can only dream. Take, for instance, the fact that almost all the 30 start-ups selected for the Aso Villa Demonstration Day, an entrepreneurship competition organised by the Nigerian Presidency, and which was attended by Mark Zuckeberg in 2016, were either entirely, or partially, tech-based ideas. It may be that in the Nigerian context, the shake-up to the SME sector that tech-based start-ups present will be sufficient to justify the amount of attention they receive in comparison to their non-tech-based counterparts. But although most tech-based start-ups either aim to disrupt existing markets by introducing new processes—most especially with app-based designs, or by importing ideas that have been successful elsewhere, many products do not seem to be a response to specifically African markets. A glance at the tech start-up eco-system reveals numerous Uber-like apps, and apps for grocery shopping and waste disposal. But beyond the ‘coolness’ of these ideas, it remains to be seen whether the Nigerian market and infrastructure is sufficiently developed to make optimal use of these technologies. most start-ups are based in the tech industry, and while this is not necessarily a bad thing, it does suggest that other non-tech based ideas in the MSME sector are being crowded out. It is not that tech start-ups are not needed in Nigeria or anywhere else on the continent. After all, of the top 15 fastest growing jobs, 6 are IT-related. Rather, in order for good tech-based ideas to work in Nigeria, there needs to be corresponding investment in the country’s education system, in vocational schools to train kids from an early age in tech skills, and importantly, in development and technological infrastructure. What this all means is, at present, the market for tech-based solutions in countries like Nigeria is over-estimated. What market there is for the products tech start-ups have to offer is being driven from above by the minority rich, and from tech firms themselves, rather than organically from below. Take, for instance, the question of why Mobile Money Payment Systems have, so far, failed to scale-up in Nigeria even though processes such as M-PESA have been hugely successful in Kenya. Whereas in Kenya, in 2015, there were 131,761 Mobile Money agents, with a corresponding 26.5million customers, in Nigeria, there seem to be more payment systems than there are people using them. According to a 2014 EFInA Financial Services Survey, out of a nearly 180million-strong population, only 800,000 people in Nigeria are using Mobile Money. 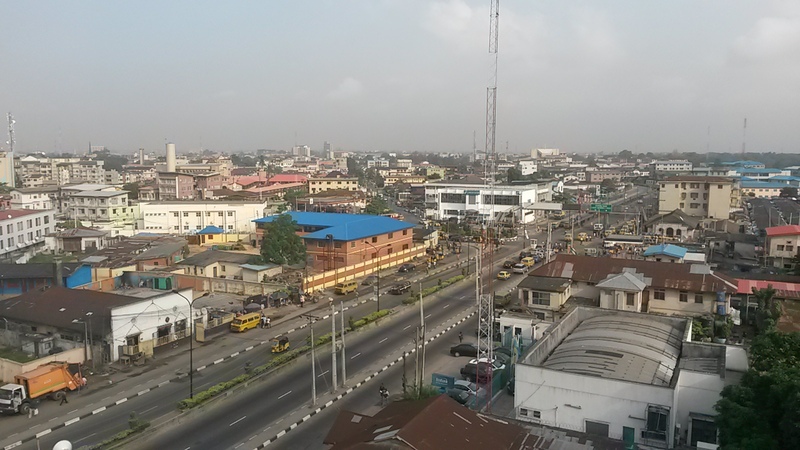 Some have suggested that Nigeria’s is a regulatory problem. The common argument is that the lack of scale in Mobile Money adoption in Nigeria is an unintended consequence of the Central Bank of Nigeria’s improper recognition and/or allocation of weight to the multiple stakeholders necessary to ensure a proper mobile money system. Nevertheless, the reality is that as more parts of the world go cashless, the predominant use of payment cards in Nigeria is to withdraw cash at ATMs. In 2016, Nigerians withdrew N4.7 trillion from ATMs compared to N756 billion total transactions made through the country’s 21 licensed mobile payment operators. The utility of the kinds of products that finance technology firms seek to bring to Nigeria on the basis of their success elsewhere is currently minimal. Many products are neither specific enough to Nigerian markets, nor innovative enough to solve existing problems. Fin tech solutions in Nigeria do not seek to develop products that would connect to Nigeria’s great unbanked – at least 47% of Nigerians have no bank account – and they, therefore, make no distinctive additions to current efforts at deepening financial inclusion across the country. And yet, traditional SMEs continue to be the life-blood of the Nigerian economy. According to a former Minister of Industry, Trade, and Investment, Olusegun Aganga, a 2013 survey revealed that MSMEs accounted for 48% of Nigeria’s Gross Domestic Product. This is not to say that support for traditional MSMEs and tech start-ups are mutually exclusive, because they are not. But there are indications that stronger incentives exist to set up tech-based companies. Further, the current drive towards formalising the economy in places such as Lagos, for instance, where there is an ongoing clamp down on informal businesses would seem to preference the more formal set-ups of tech firms. There is no doubt that tech firms with genuinely innovative solutions to existing and future markets in Nigeria must be vigorously supported. Not only do tech companies offering out-of-the-box and truly innovative market solutions bolster the economy but they can further serve as fruitful and willing partners for the mutual growth of traditional MSMEs. Fostering this balance needs to be the focus of government funding to the MSME sector as a whole. Olusegun Sotola is a s senior researcher with the Initiative for Public Policy Analysis, a Nigerian think tank based in Lagos.